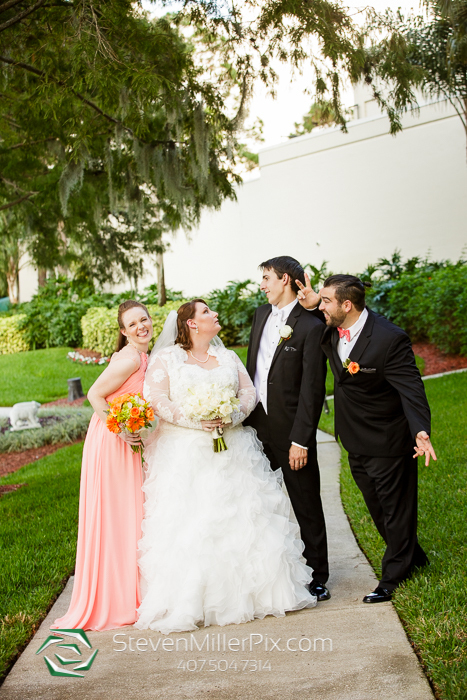 We recently captured the sweet wedding of Anna and Eric and one of our favorite Orlando wedding venues, the Hyatt Regency Grand Cypress!! 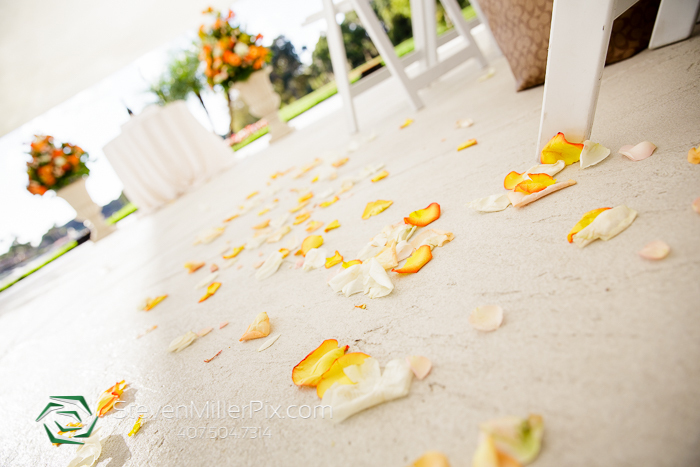 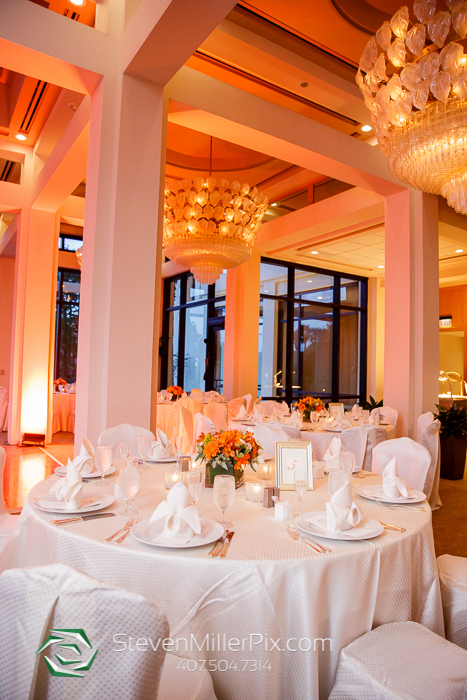 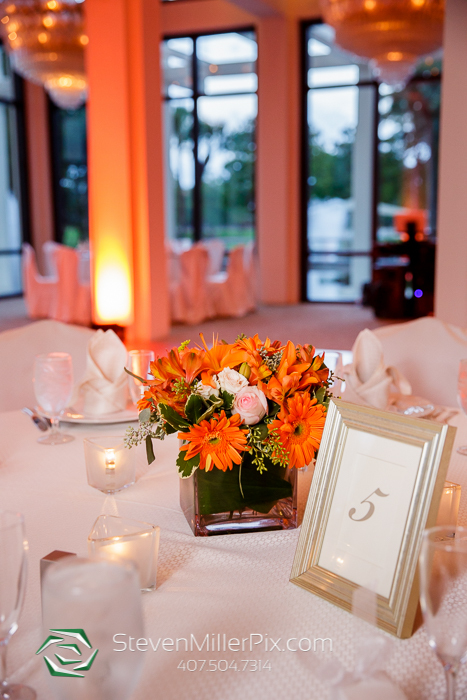 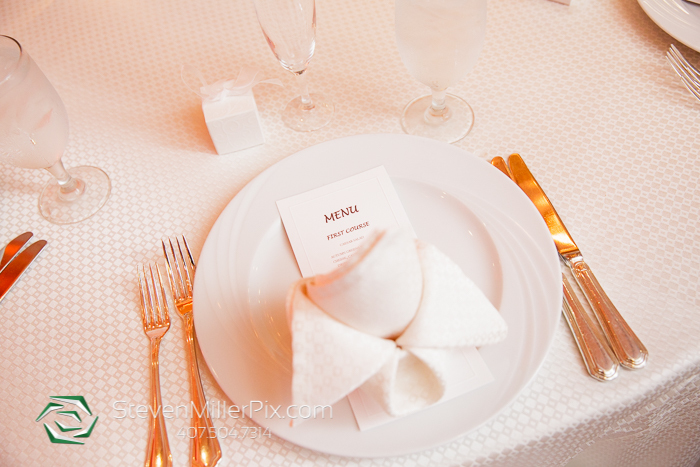 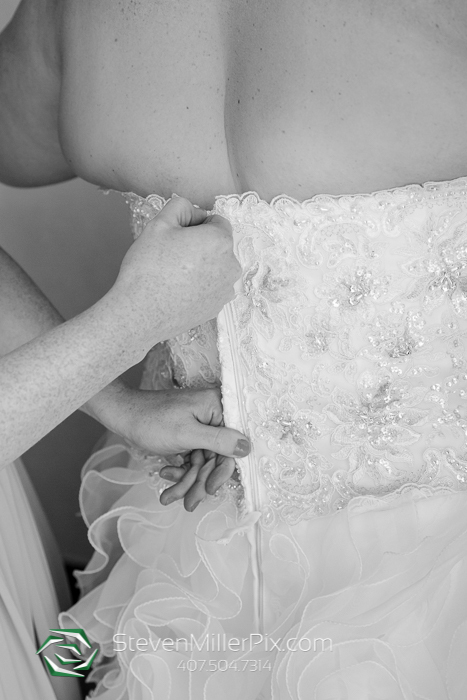 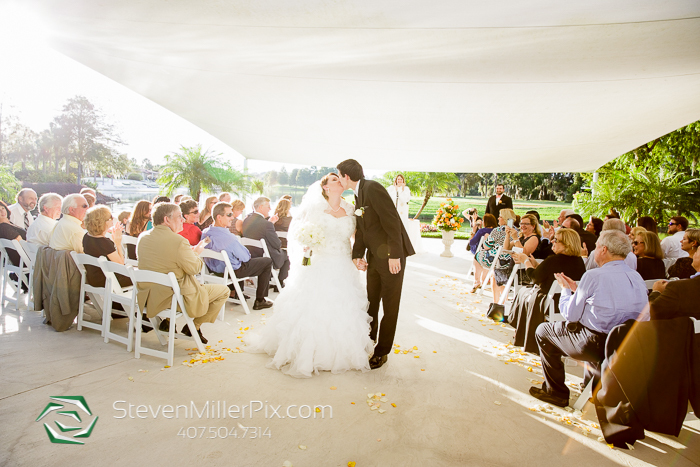 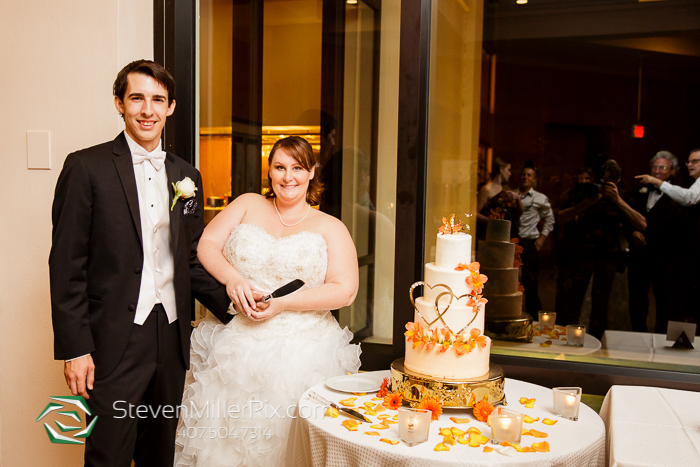 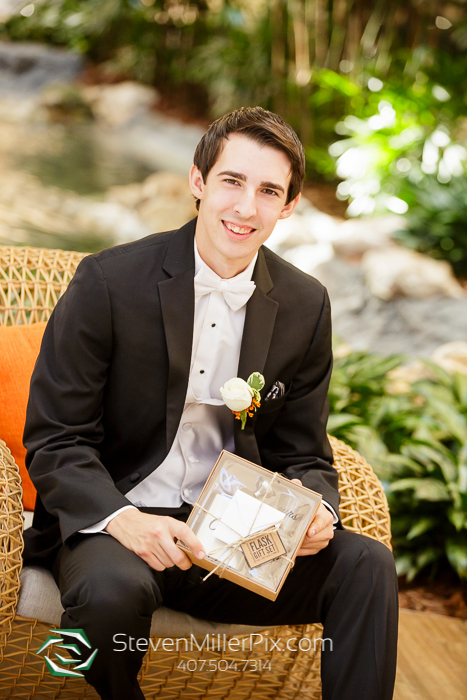 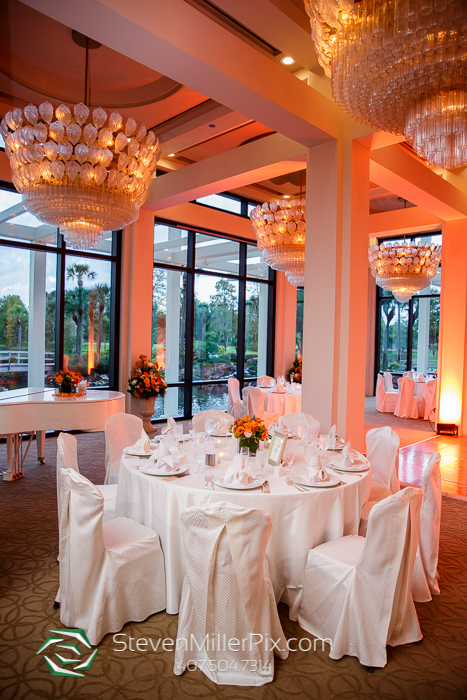 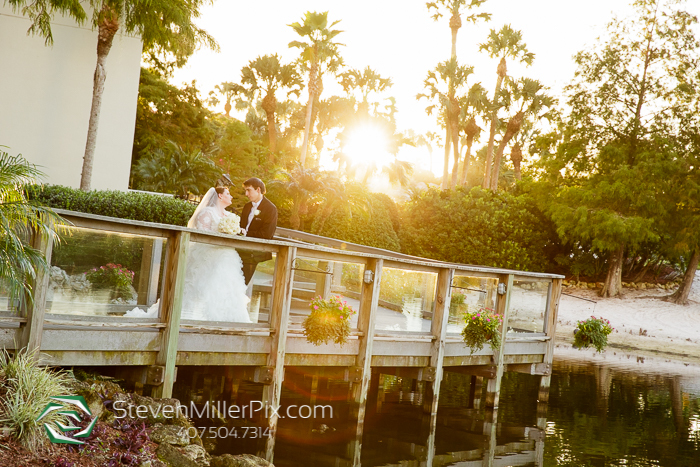 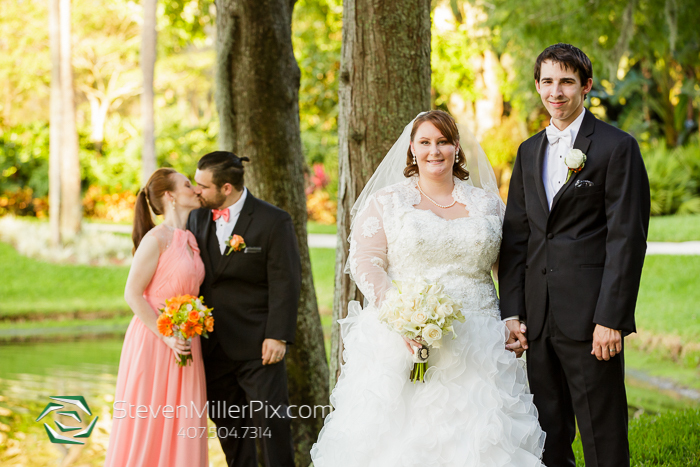 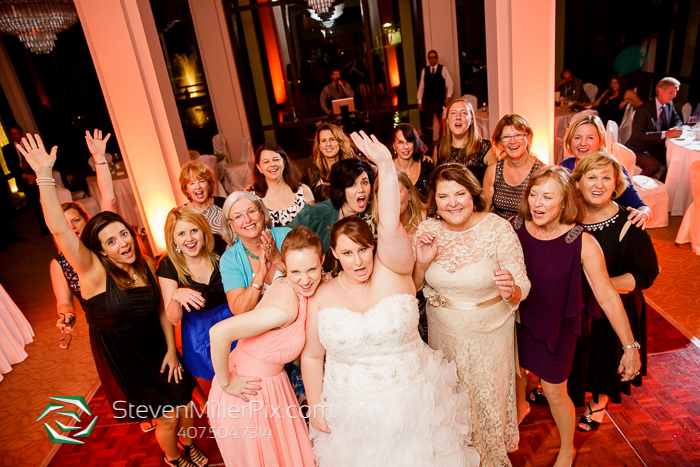 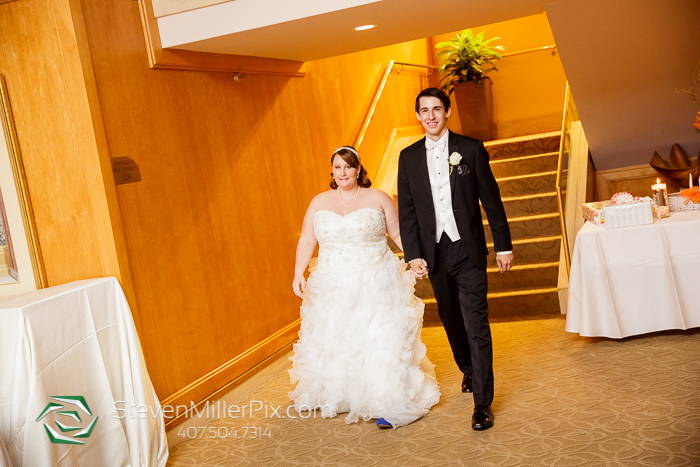 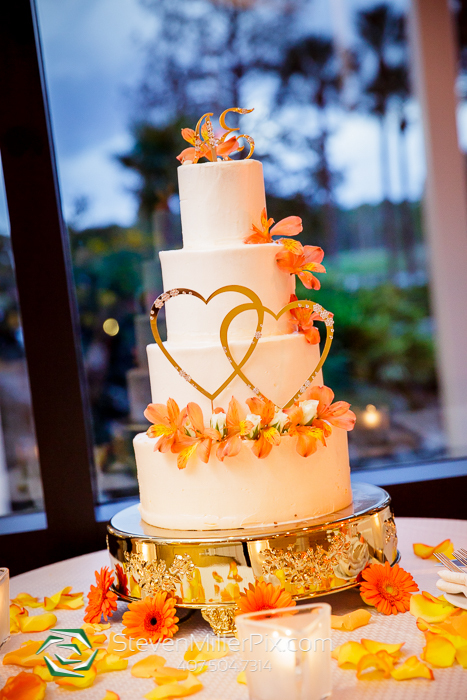 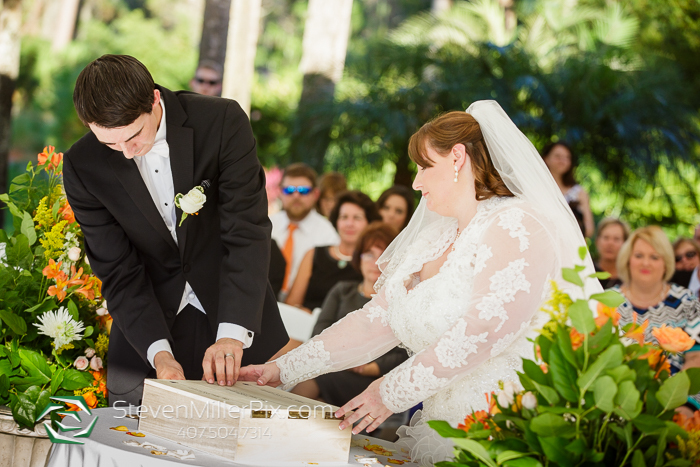 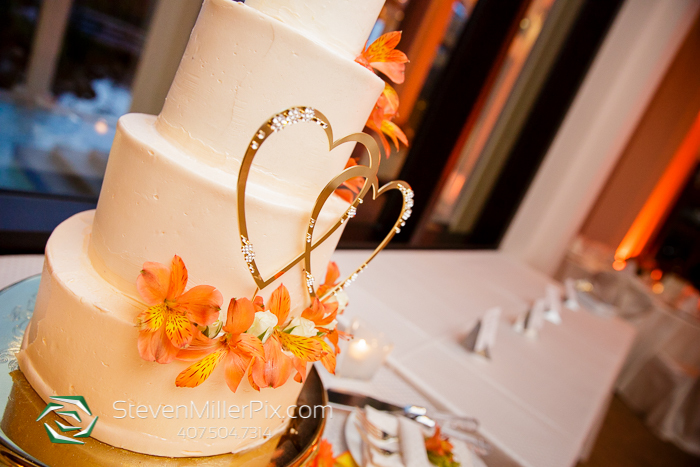 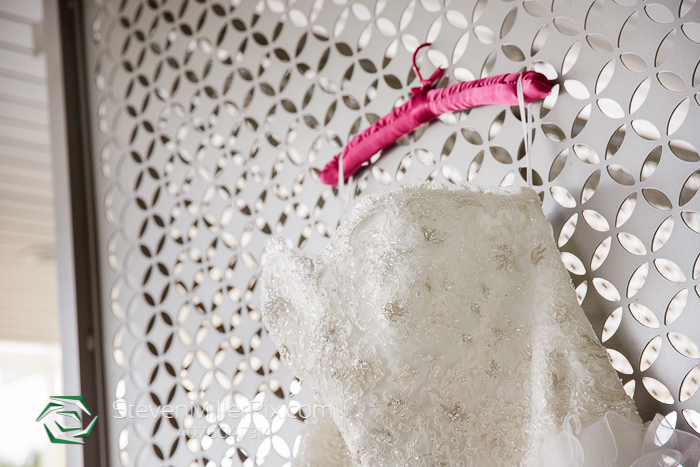 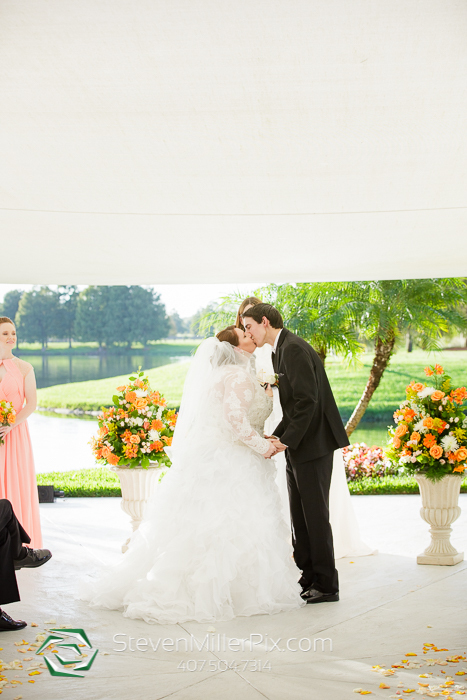 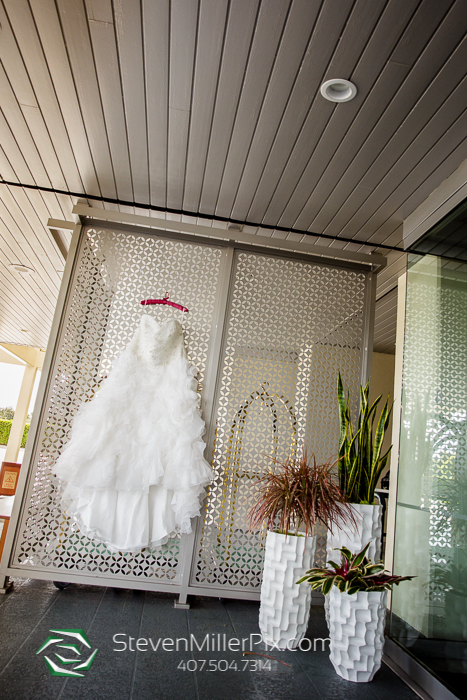 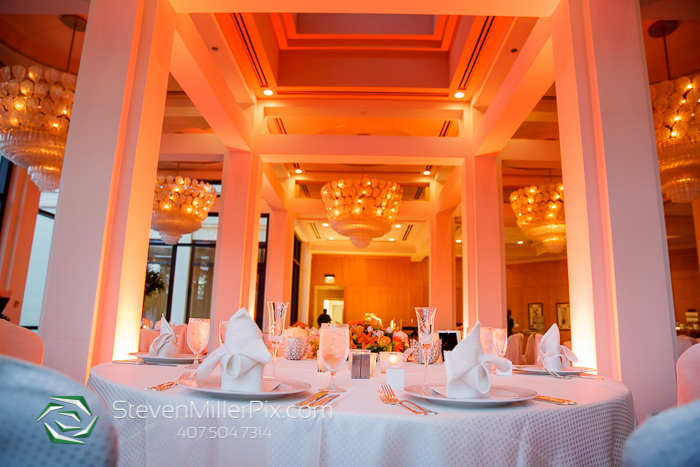 We love this venue because there is SO much that you can utilize for photos around the entire property! 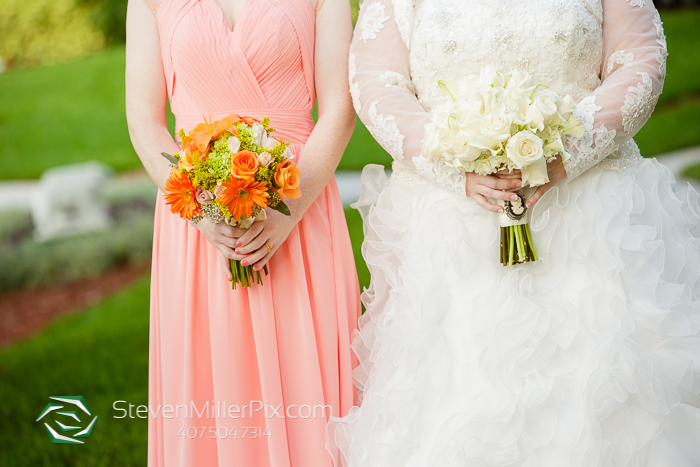 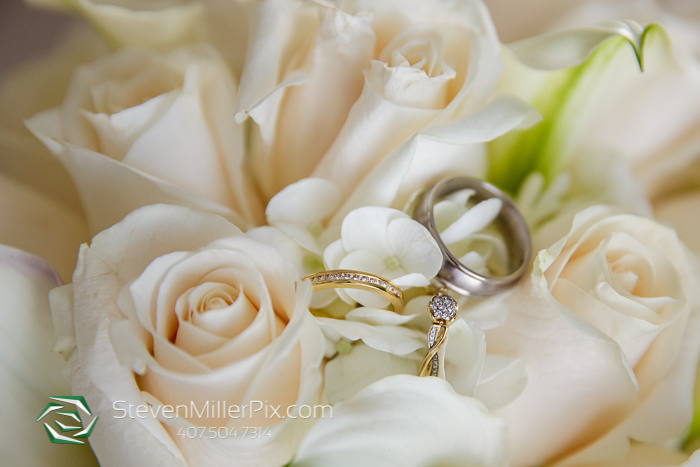 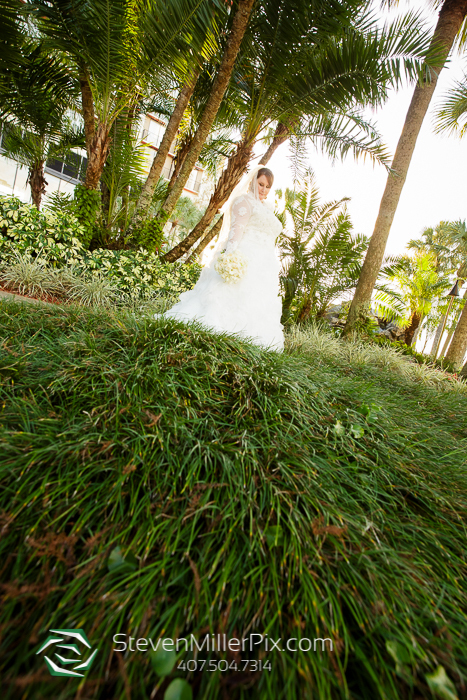 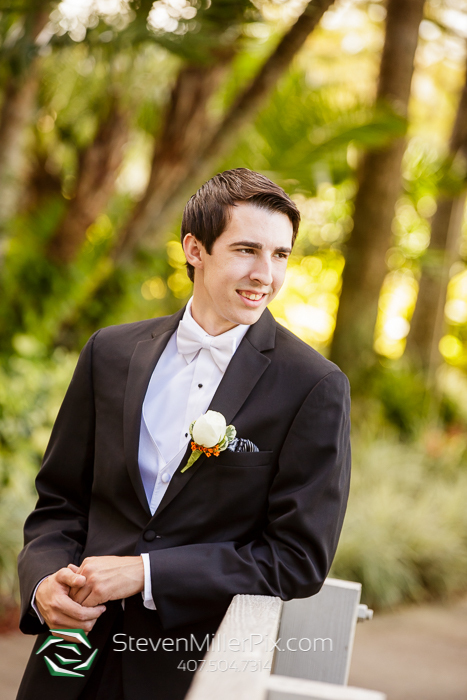 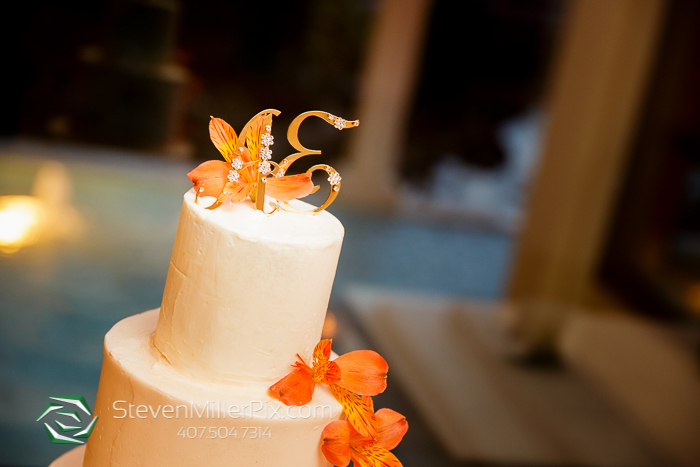 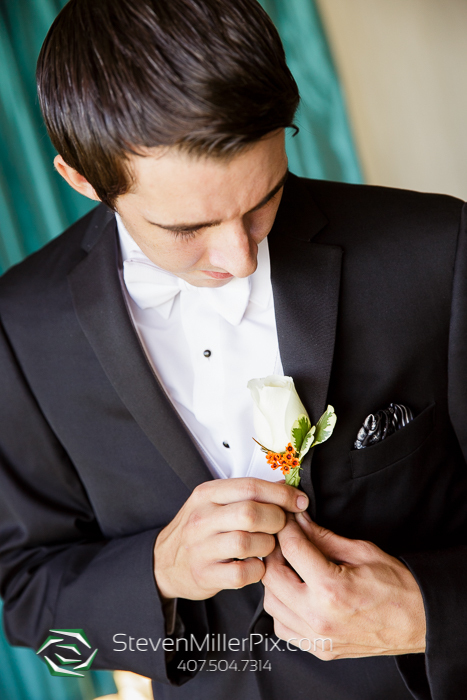 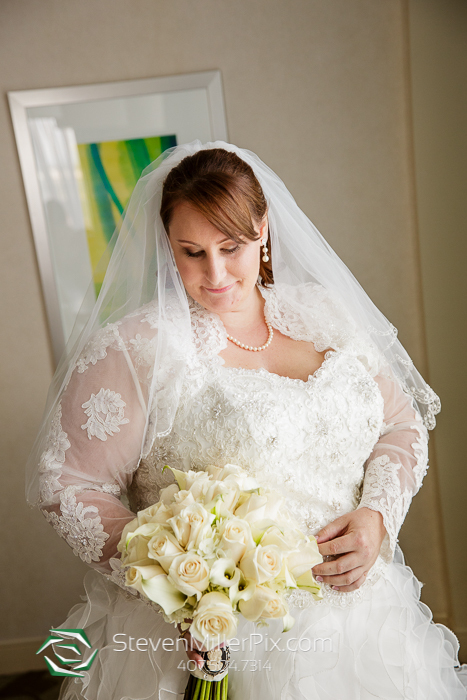 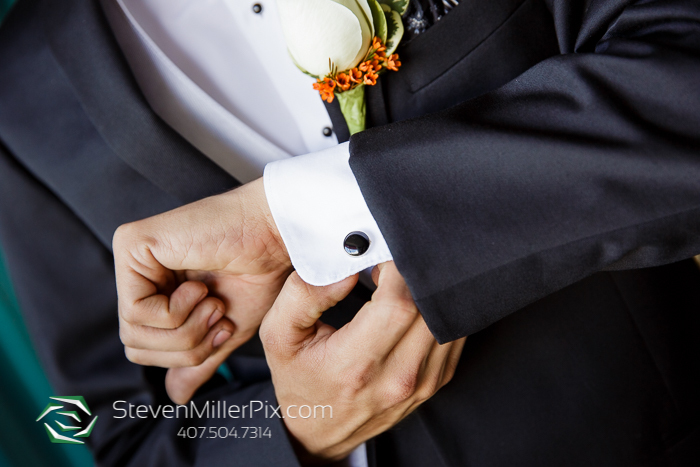 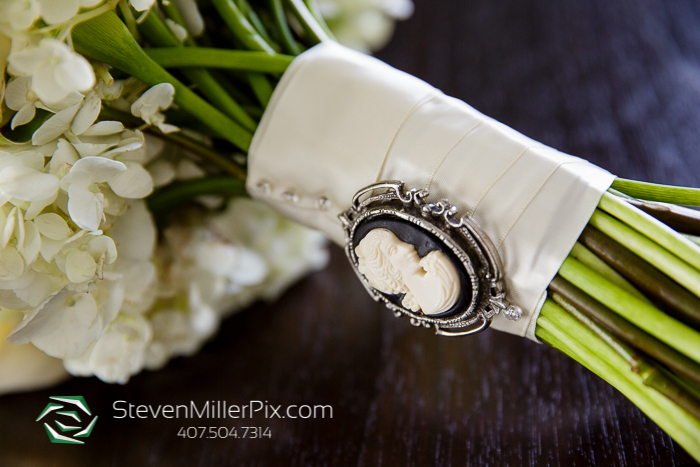 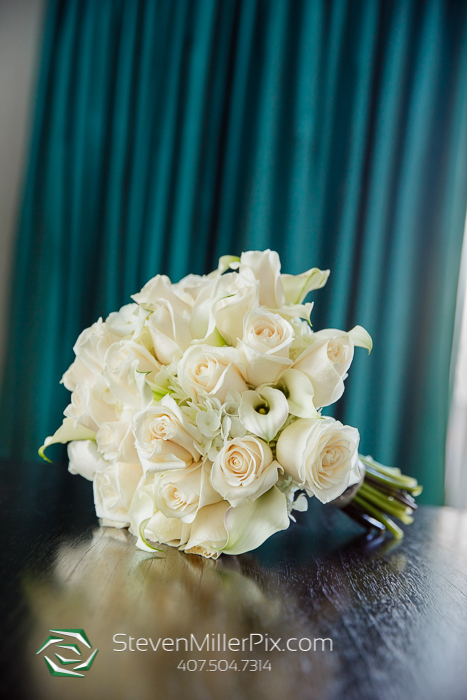 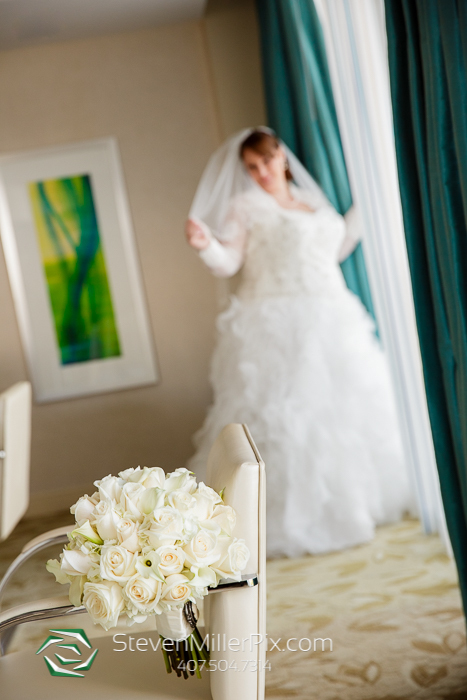 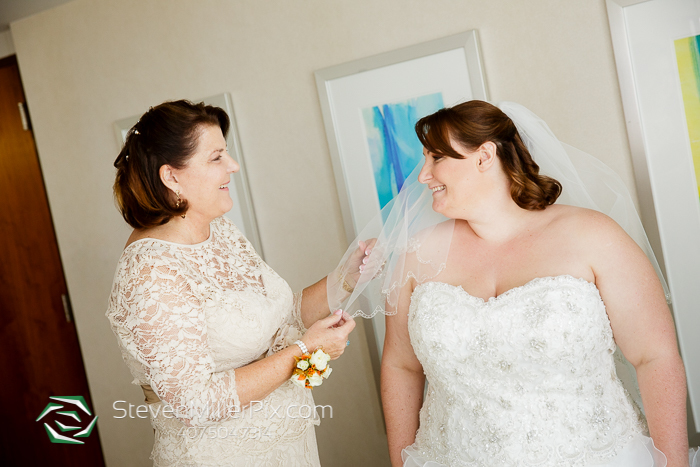 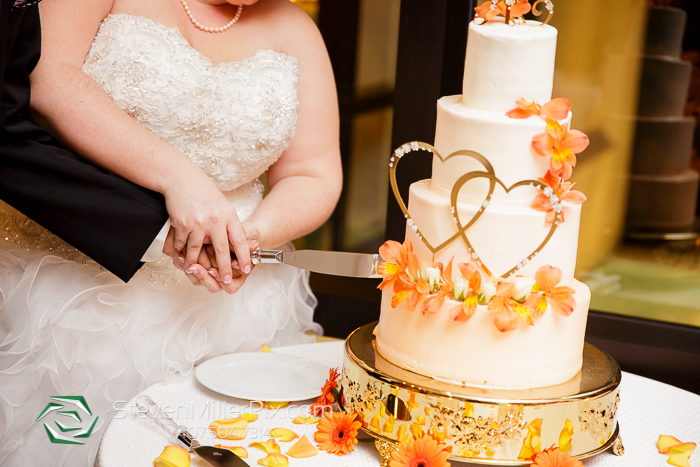 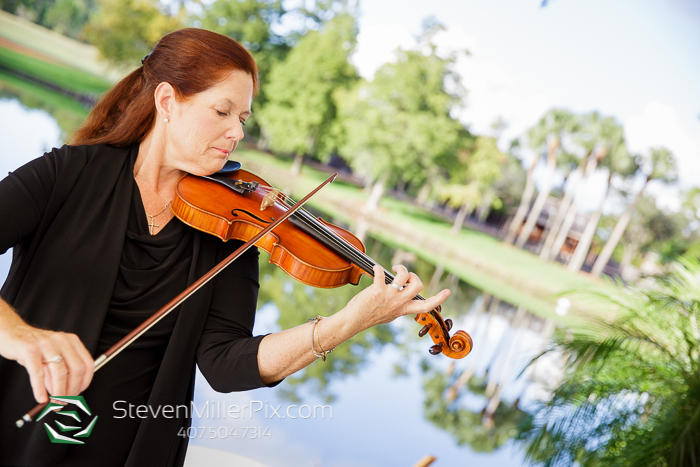 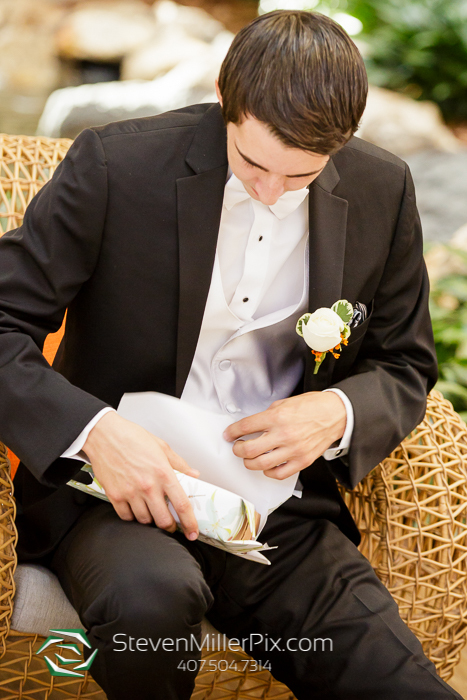 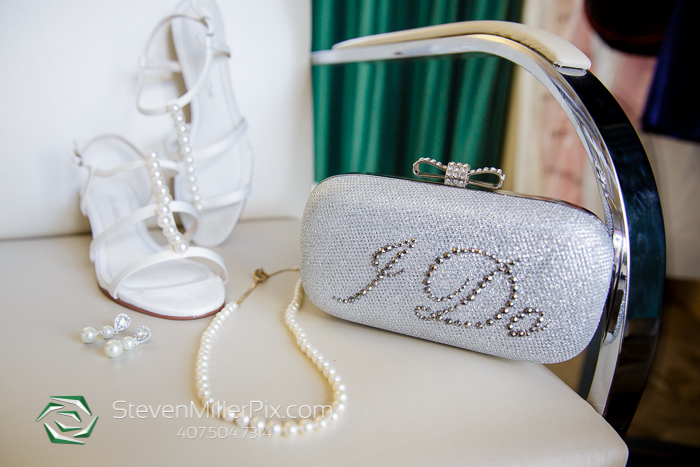 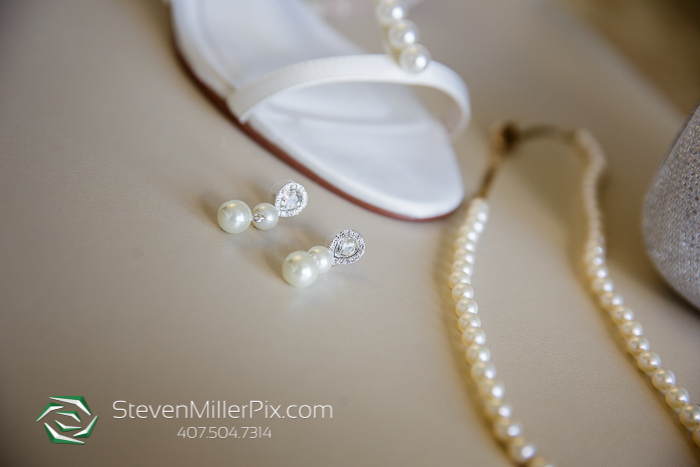 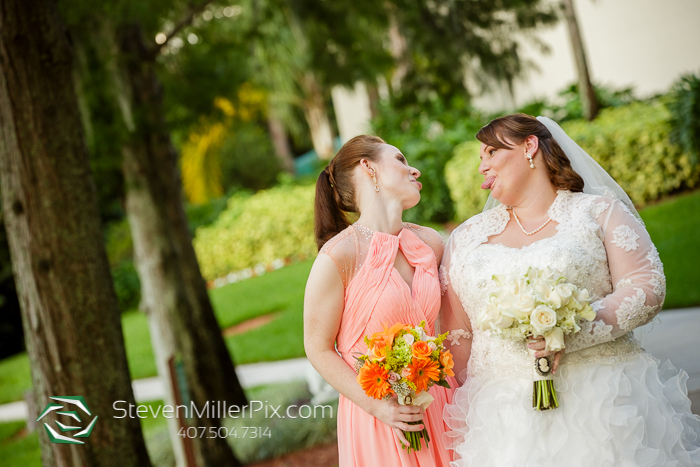 Orlando Wedding Photographers Steven and Ryan began their wedding day capturing Anna’s bridal preparations in her suite, with the beautiful bouquet and floral arrangements created by Jayne of Windermere Flowers! 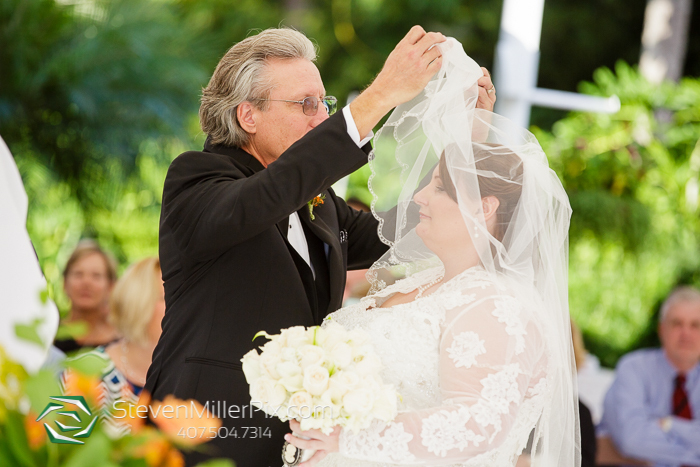 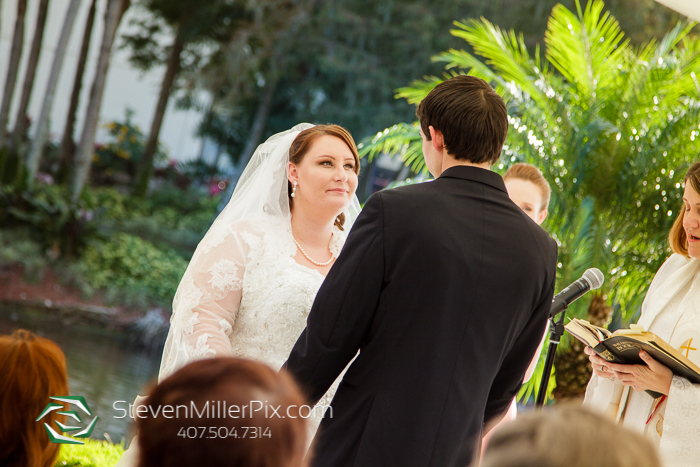 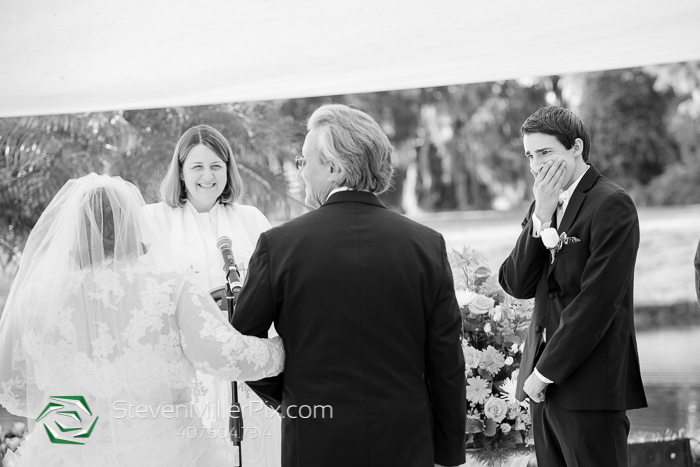 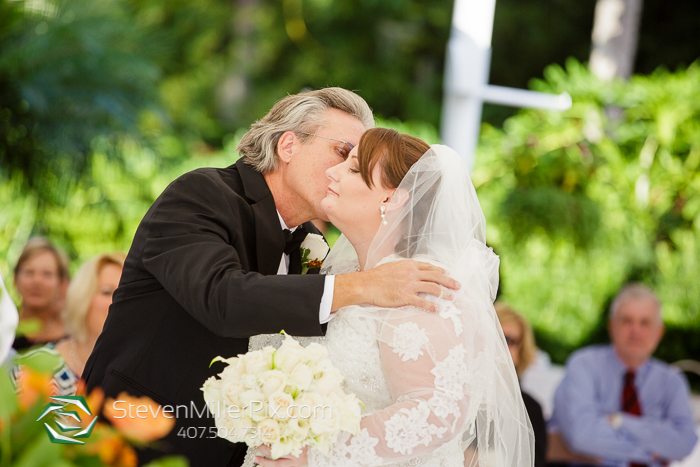 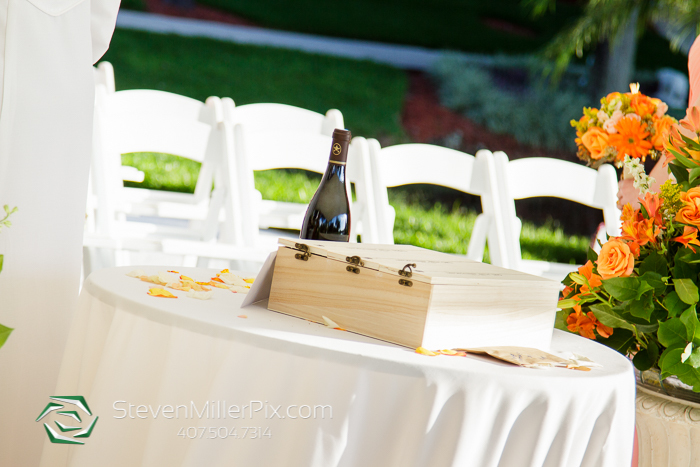 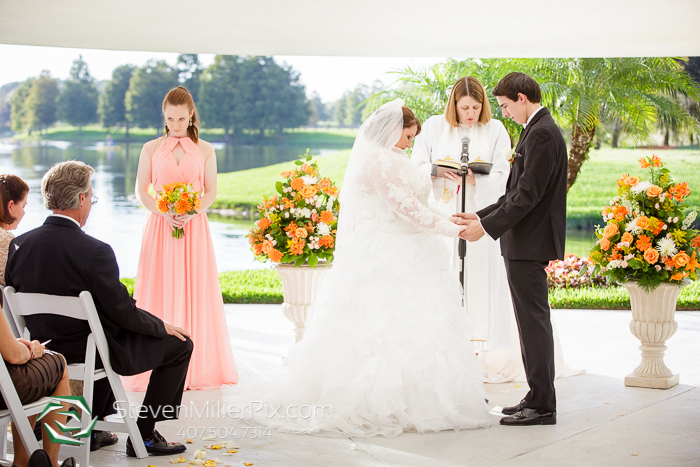 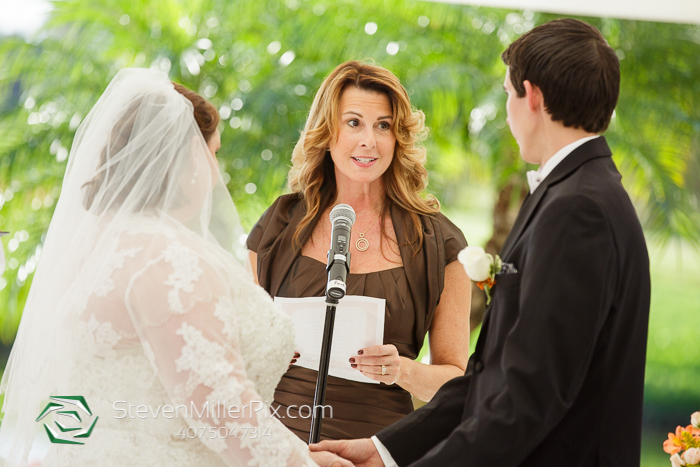 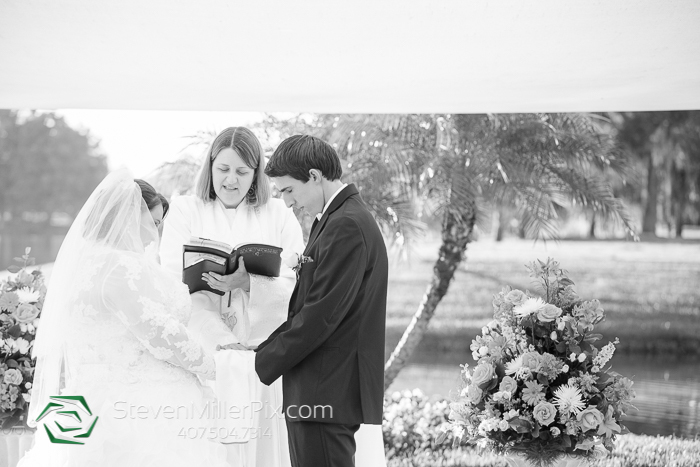 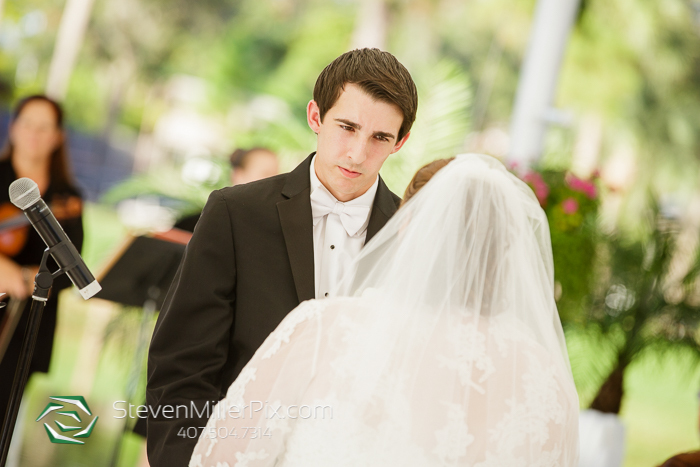 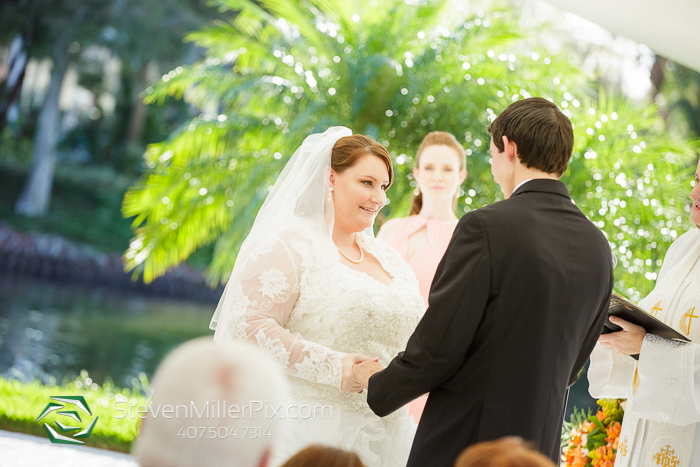 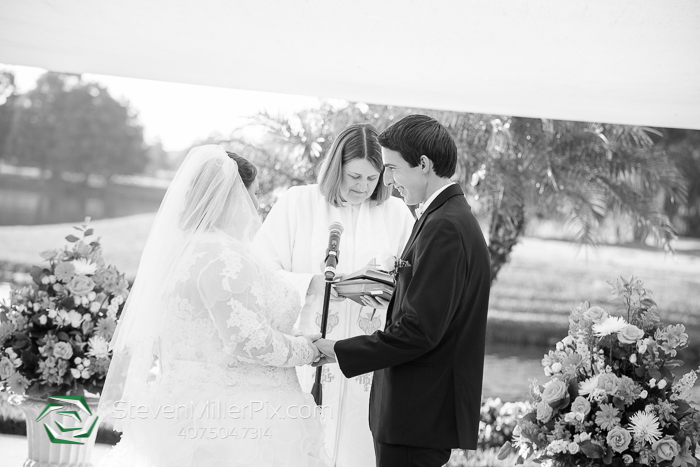 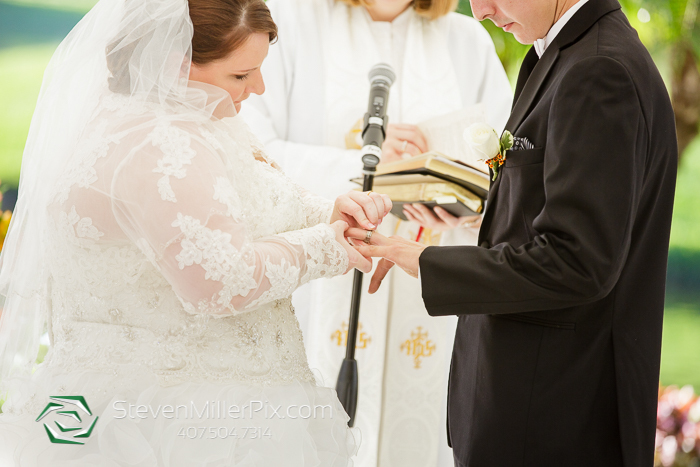 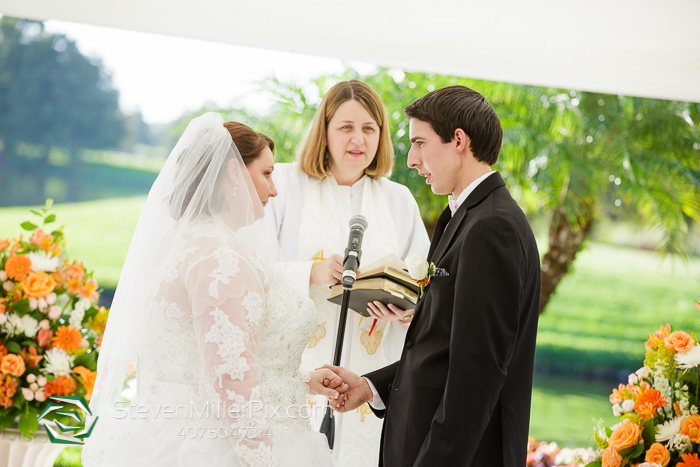 Once Anna was in her dress and ready for the ceremony, we proceeded outside to Cypress Pointe for their outdoor wedding ceremony, officiated by Pastor Beth. 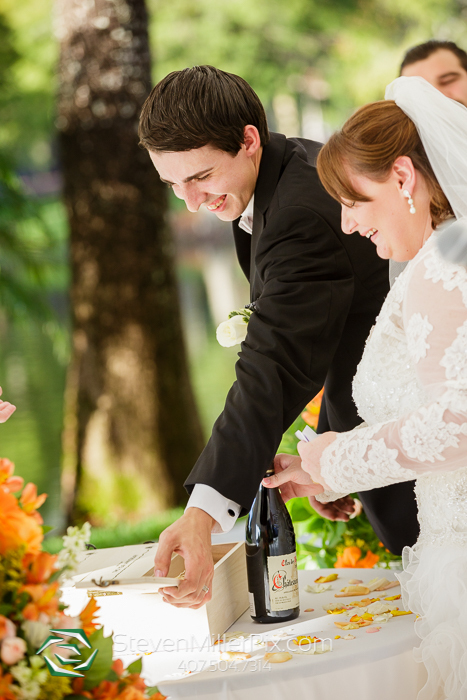 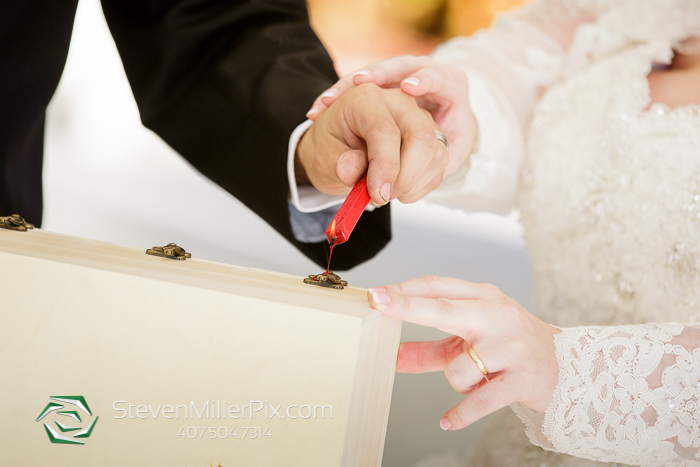 They exchanged their vows and I-Do’s, plus had the very unique unity ceremony of sealing up three bottles of wine for their future anniversaries! 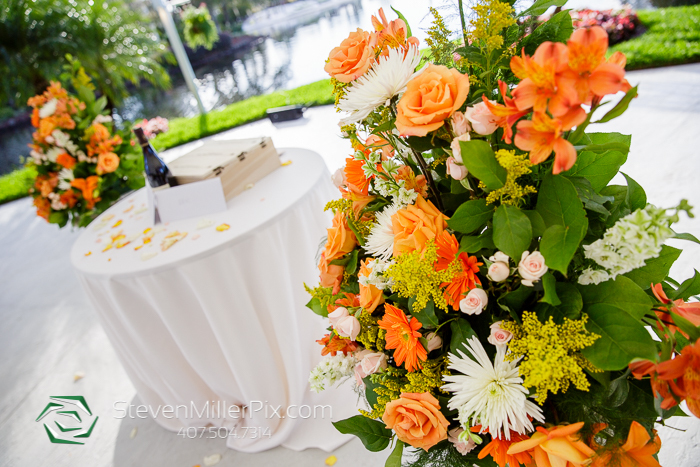 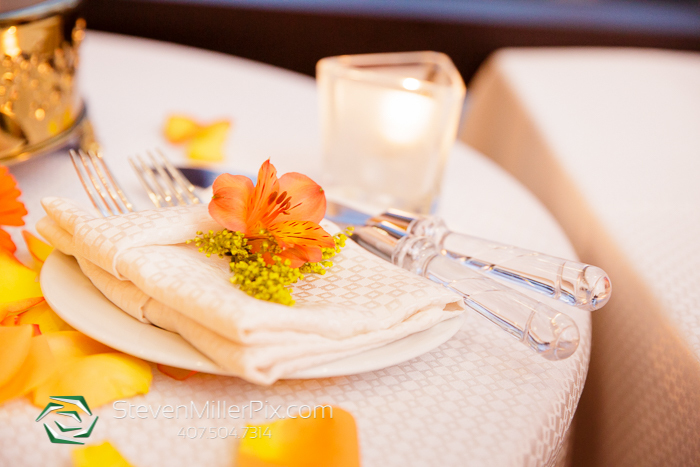 Lowe and Behold also provided the additional floral arrangements! 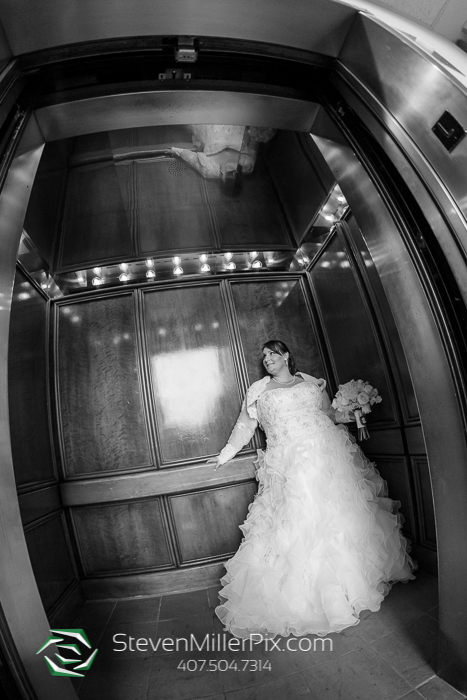 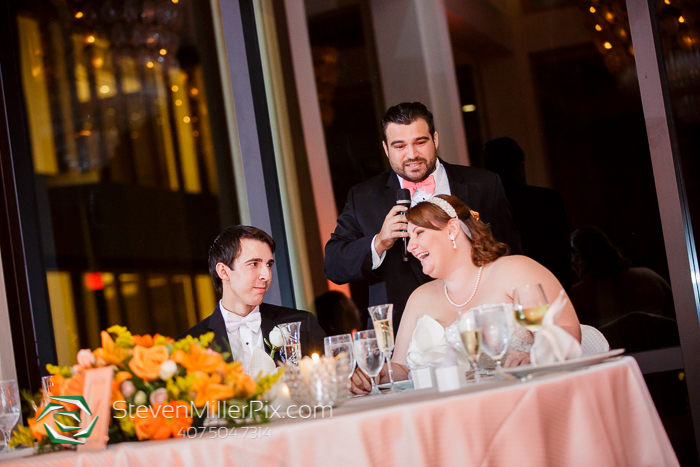 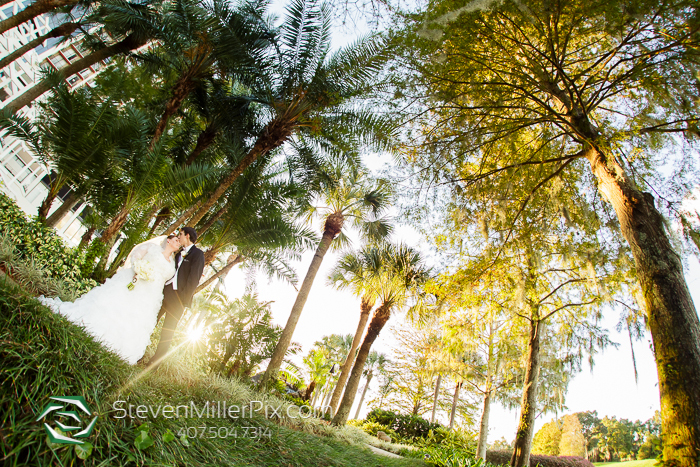 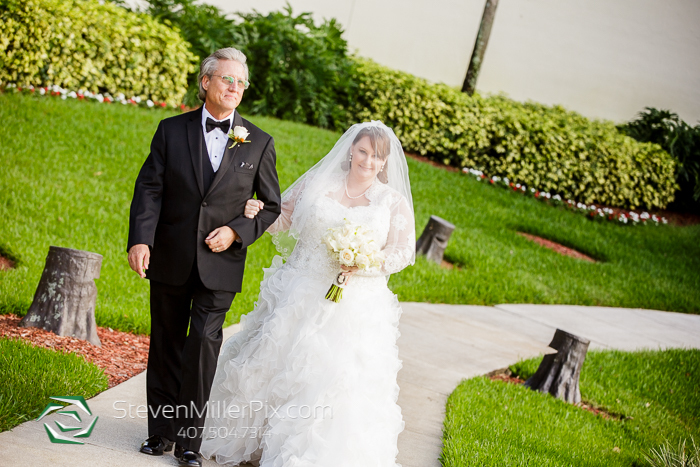 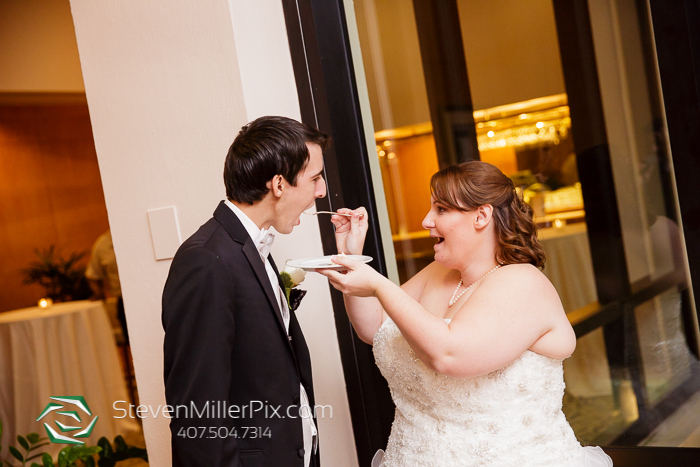 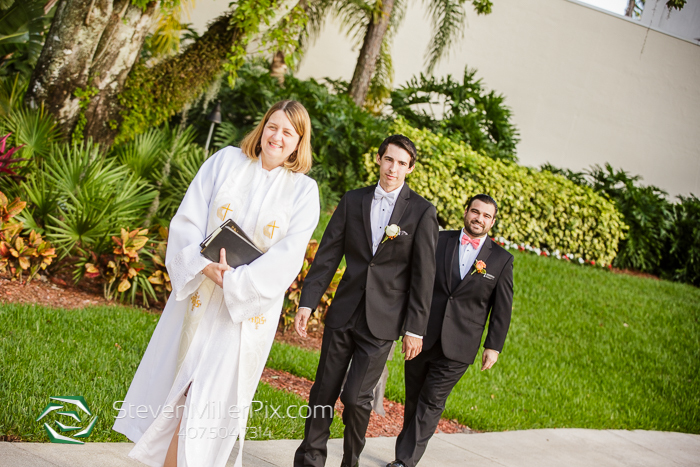 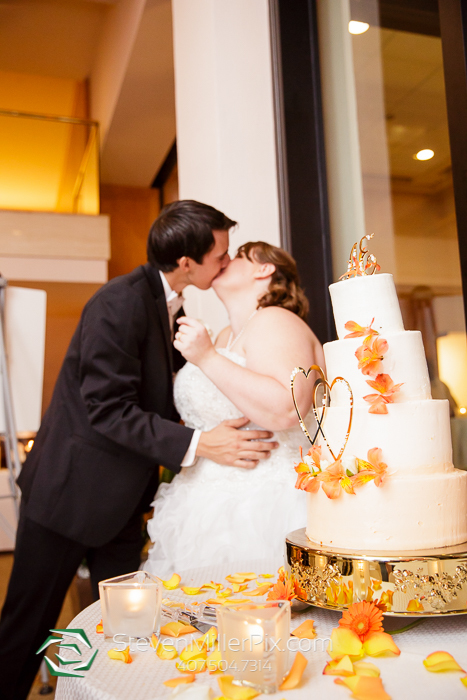 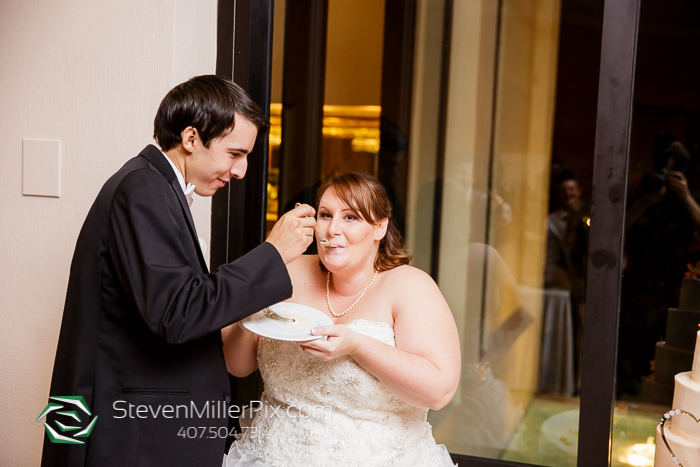 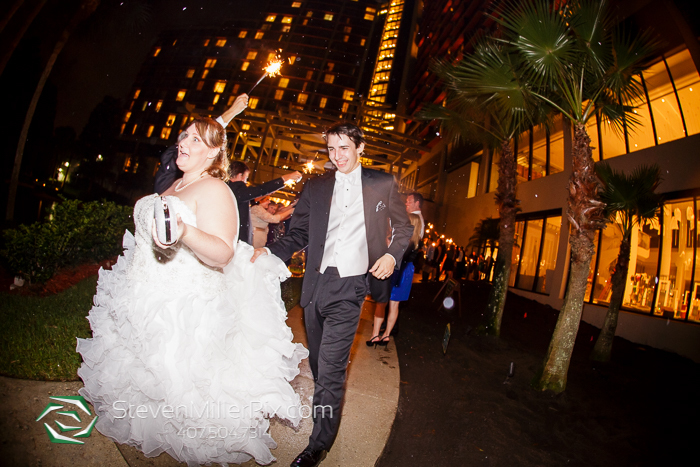 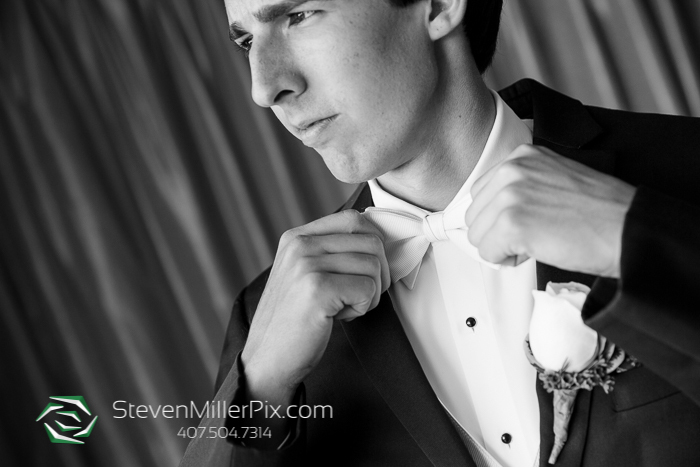 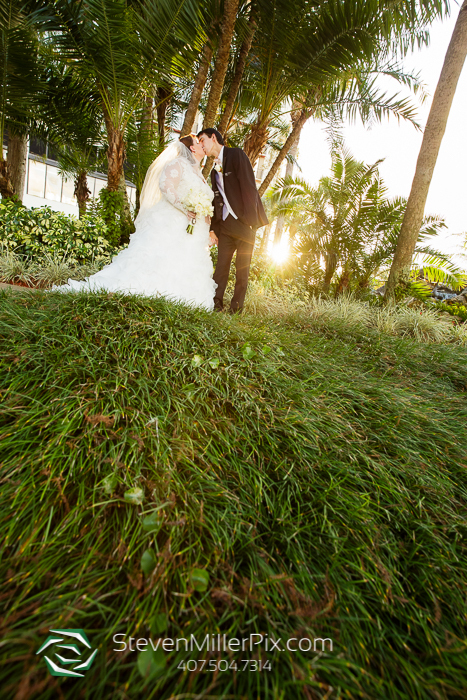 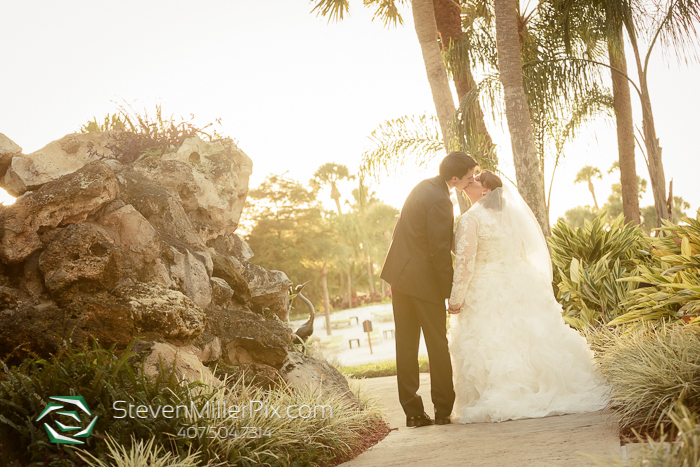 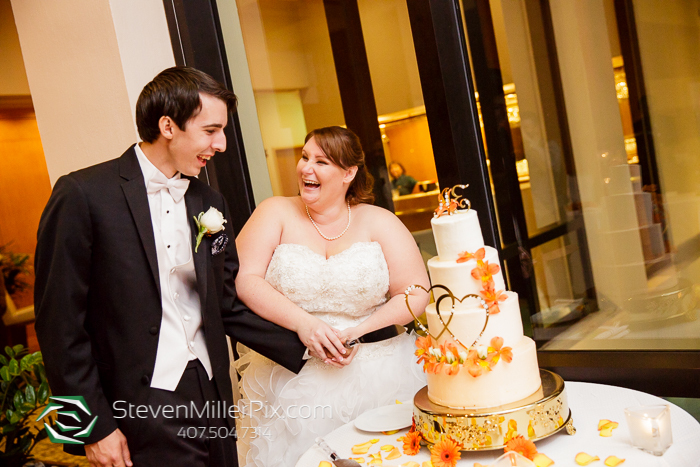 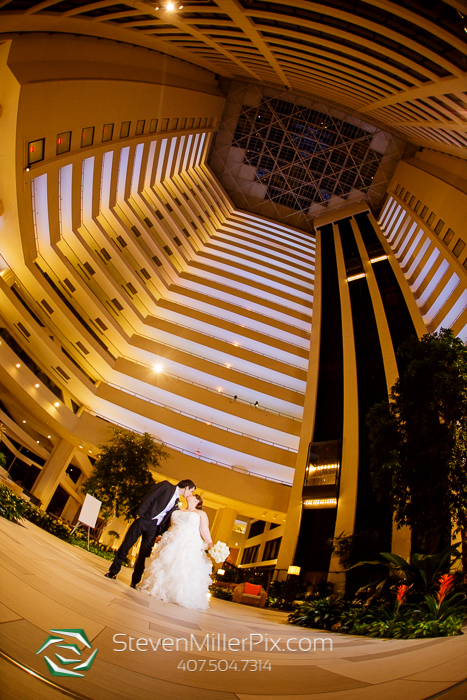 After their ceremony, we took them around Hyatt for wedding portraits, and headed back inside for their indoor wedding reception at La Coquina! 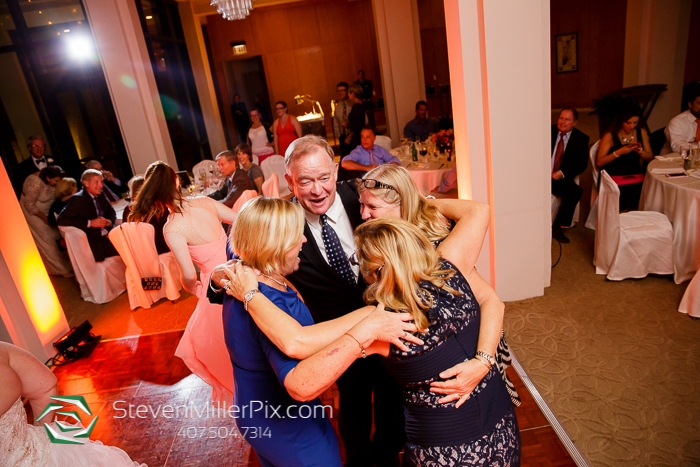 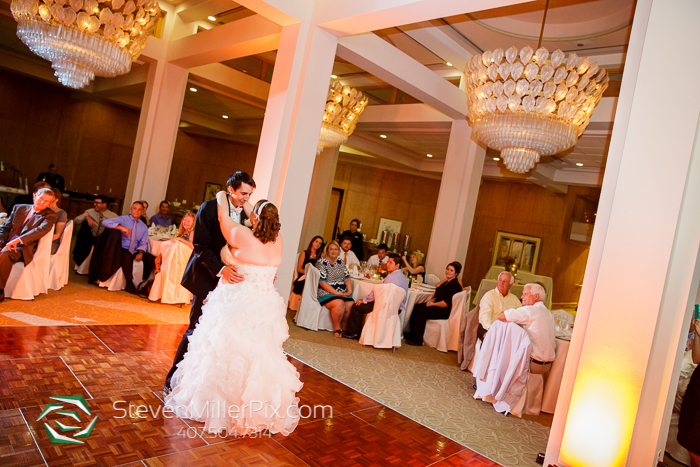 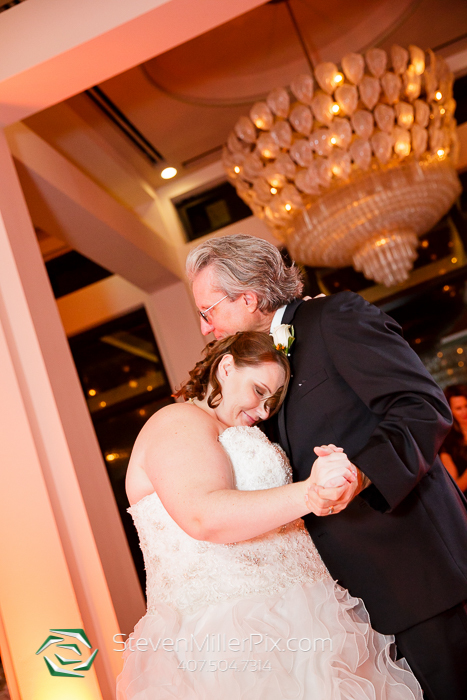 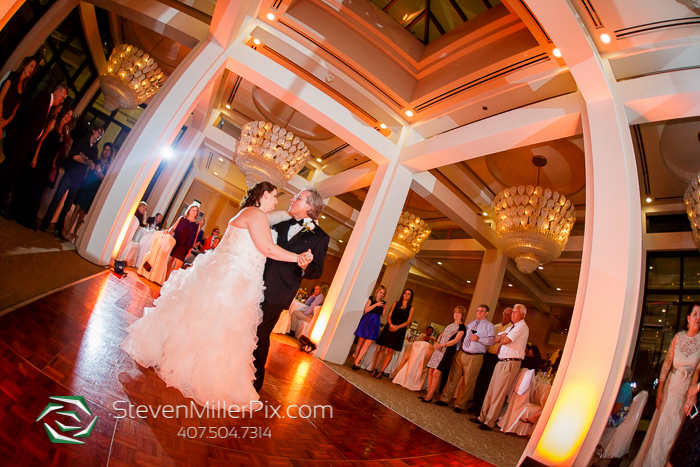 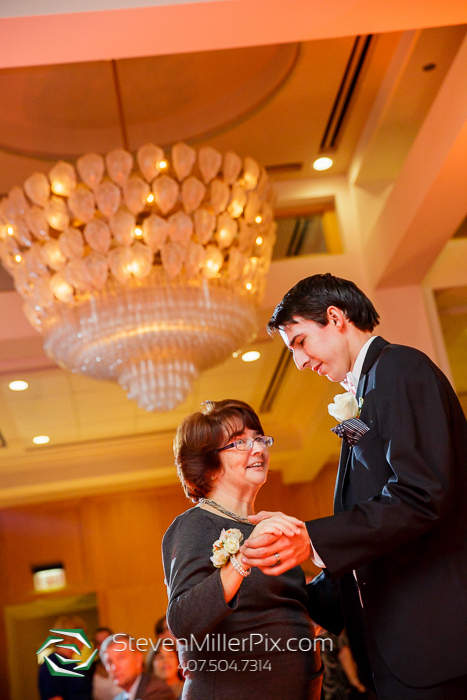 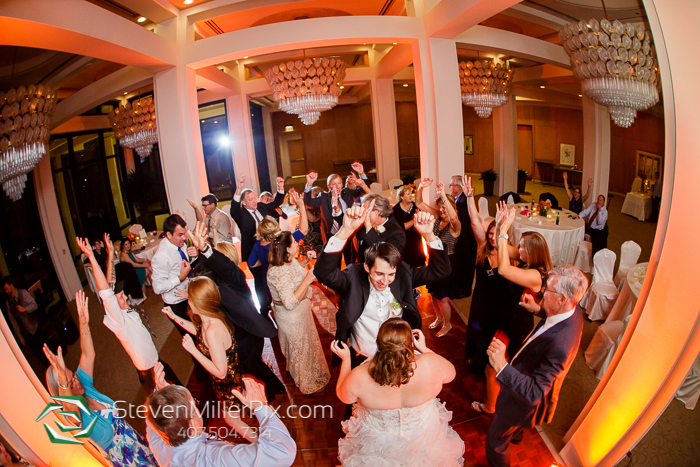 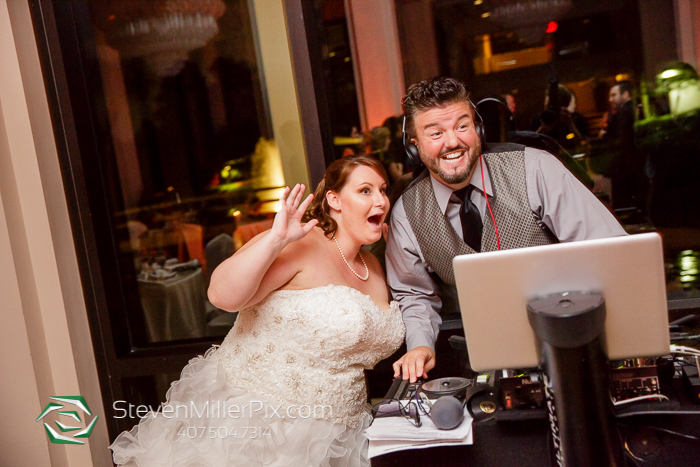 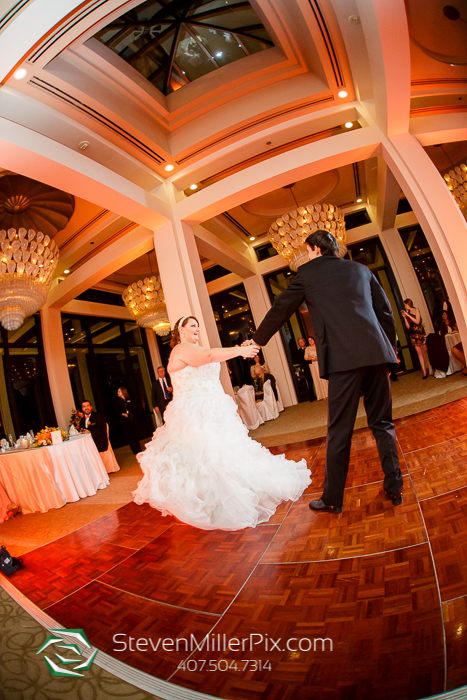 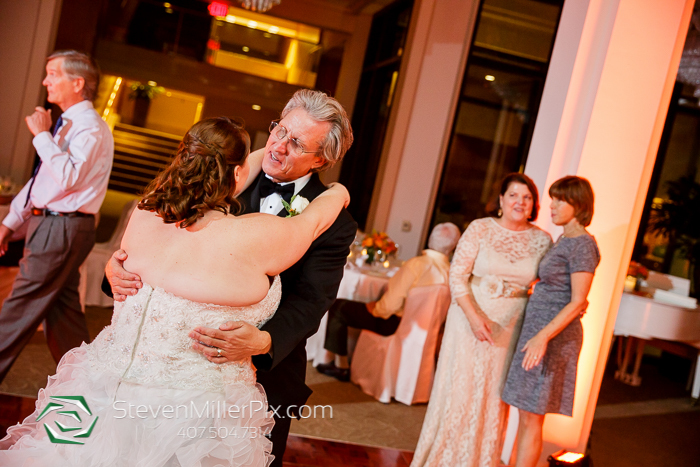 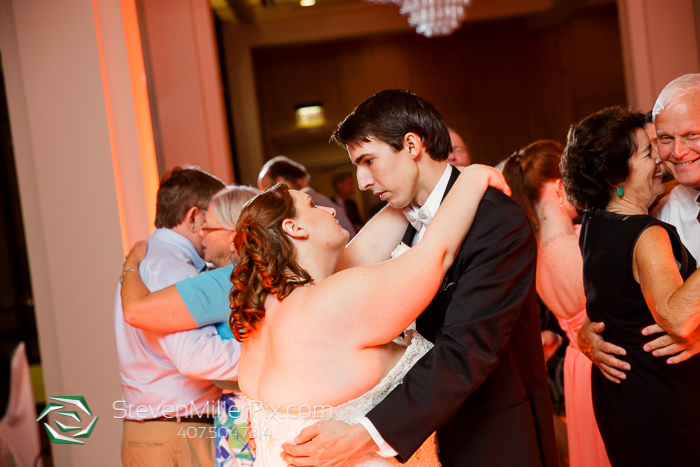 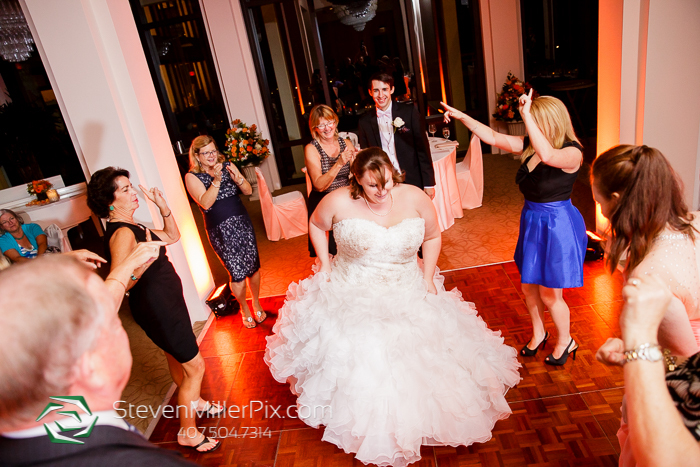 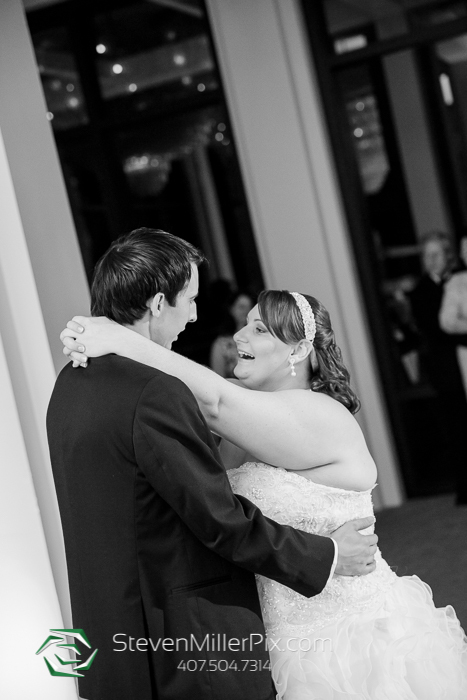 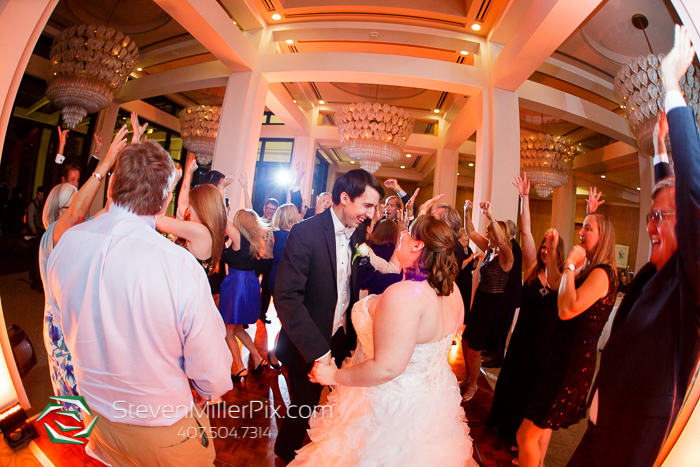 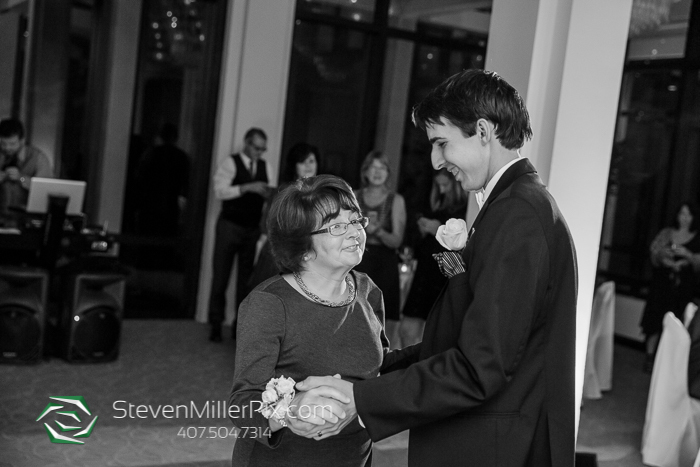 DJ Scott Messina of Messina Productions, Inc rocked their wedding reception and kept the dance floor packed! 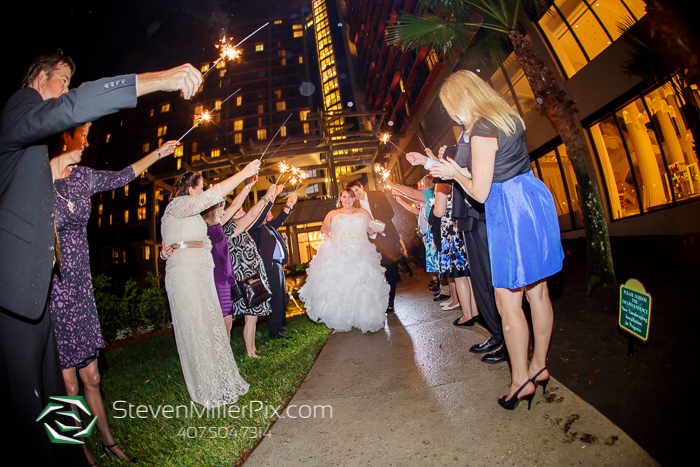 We snuck Anna and Eric outside for a few night portraits as well before their sparkler sendoff!! 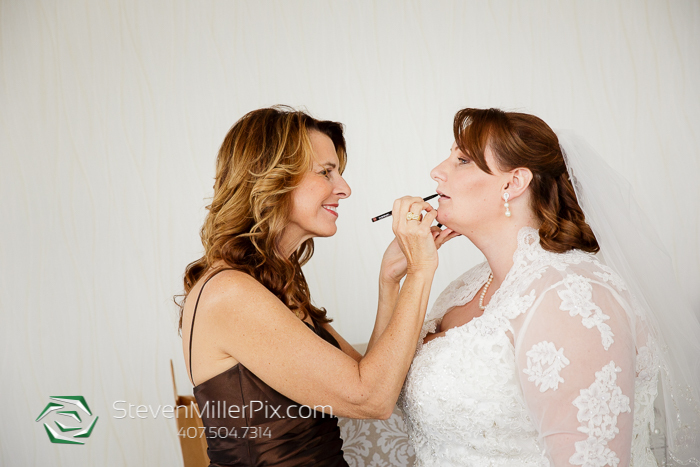 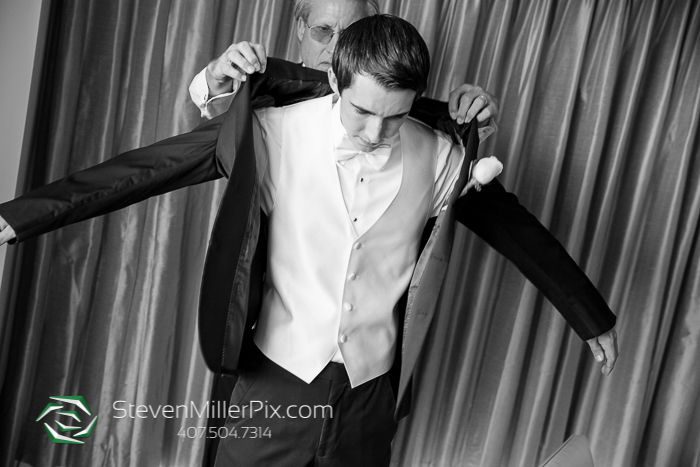 Special thank you to Rebecca and her wedding team at Just Marry! 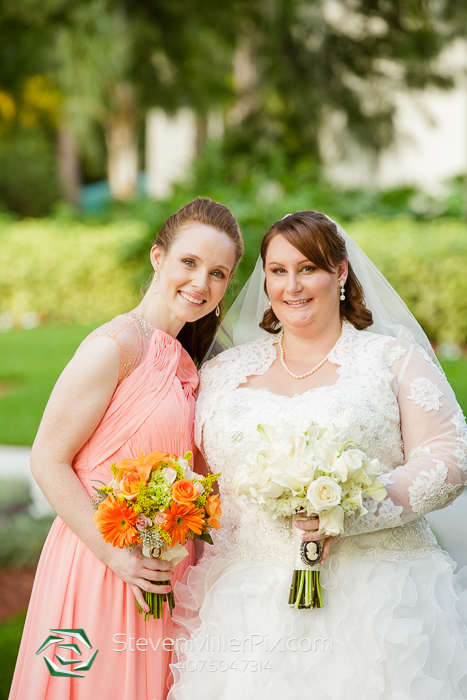 for all of their help and wedding coordination throughout the day! 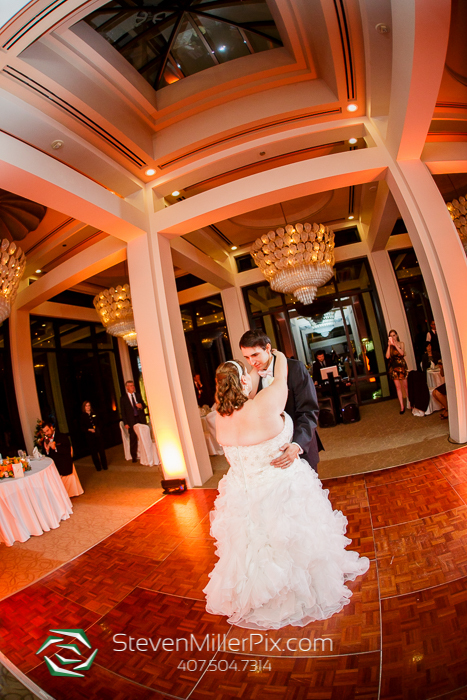 Congratulations to Anna and Eric! 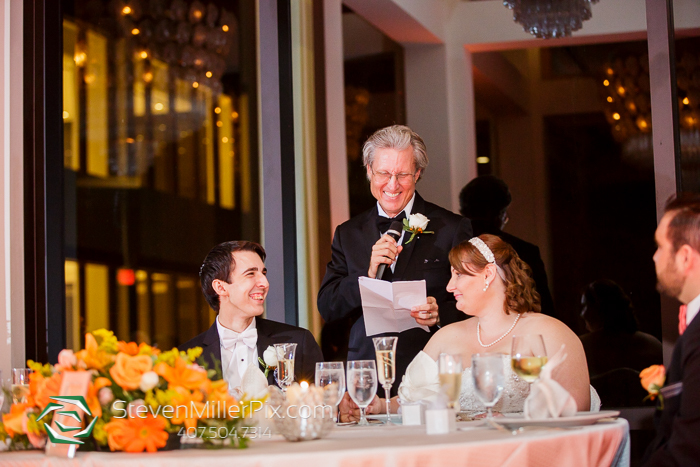 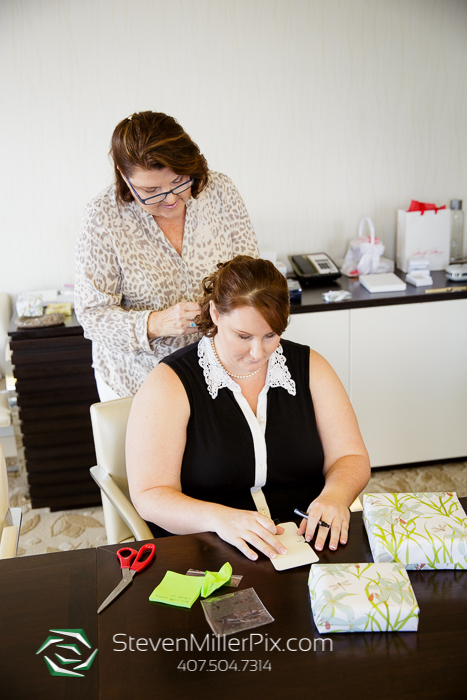 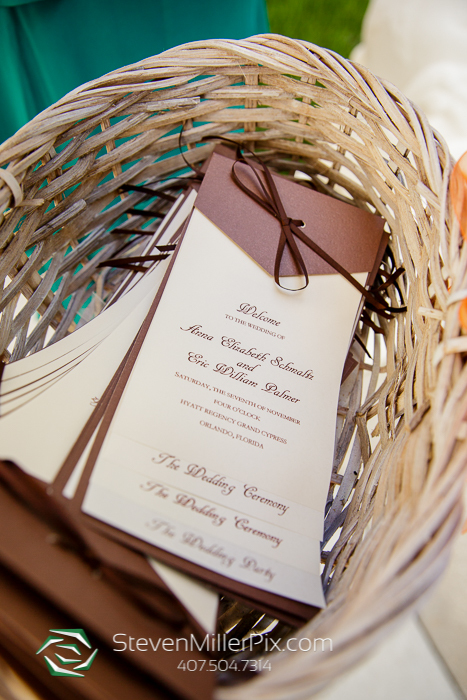 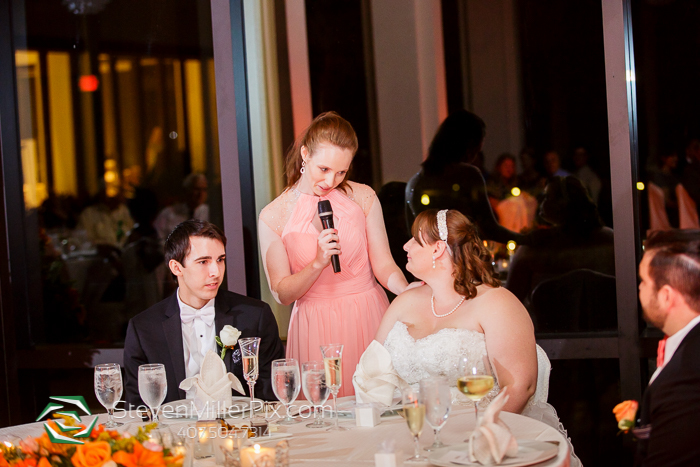 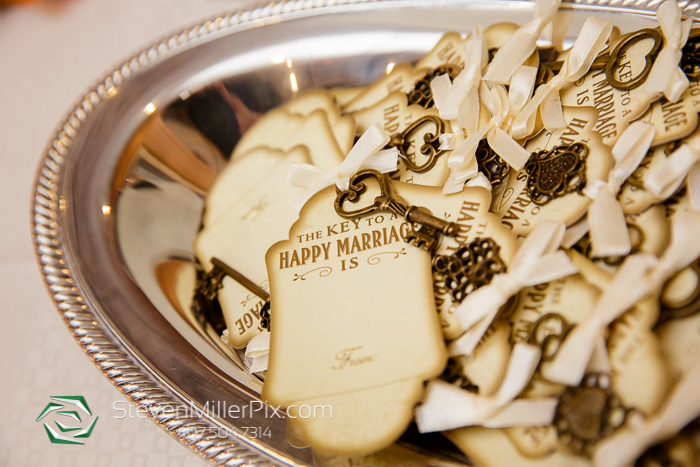 Wedding Planners: Rebecca and team of Just Marry!